My interest has always been in the teaching of mathematics, and how we learn and apply the tools of the subject. It has been interesting to observe and participate in the evolution of the pedagogy. In many ways the pedagogy has changed, and in some ways it has remained the same. I started mathematics teaching in junior high school. I have taught junior high school, middle-school mathematics, high school mathematics, and freshman and sophomore college mathematics. Several mathematics subjects have been taught, including 7-9th grade general mathematics, algebra I, algebra II, pre-calculus, calculus, informal geometry, introductory or first-year statistics, mathematical methods. It has been interesting to see the emphases change in the algebras and statistics. My current interests center around algebra, statistics, and international education. Functions, patterns, probability, binomial events, inferential statistics, and curriculum development hold particular interest to me. The history of mathematics and the approaches of diverse cultures to that subject are fascinating. In tutoring, it is important to learn how each student learns and digests mathematics. It is exciting to find a student's modality (i.e. auditory, kinesthetic, and visual). When the modality is determined, then activities are developed around how the student learns. The modality is considered when explanations are given. My approaches can be described as a facilitator and having the student discover the major ideas. through high school or freshman-year college. In tutoring, most weaknesses can be attributed to the 5 major junctures. Rate details: The group rate of $48 applies to a family of 2-3 students. Each student will receive an individual session, as well as some group attention, where necessary. After completing my doctorate and its statistics, I started teaching Statistics on the college level. I later taught statistics on the high-school level, as well. Concepts were developed further through many statistical workshops and state review of objectives. Modules were written for the book, "Does this Line ever Move?" Elementary mathematics was taught in the District of Columbia junior high schools. Also, Methods classes in elementary mathematics were taught on the undergraduate and graduate levels at The George Washington University, main campus and satellite campuses. The curriculum of Elementary Mathematics was researched and modeled to prospective teachers. I began tutoring Algebra 1 at age 13. I first taught Algebra 1 formally, after receiving my baccalaureate degree, to a group of ninth graders. Since then I have taught Algebra I to sixth - tenth graders and college freshmen. For eight years, Algebra I was integrated into the methods courses for Elementary Education majors at The George Washington University. My certification to teach Algebra I was derived from 3 states and the District of Columbia. Algebra 2 is one of my favorite subjects to have taught, studied, and tutored. Algebra 2 topics have been moved, periodically, to and from the curriculum of Algebra I, College Algebra, Finite Mathematics, and/or Pre-Calculus. Probability, Hypothesis Testing and Long Division are the newer topics. It has been my pleasure to have taught all of these topics in 3 states and the District of Columbia. I have been teaching geometry for more than 40 years. I completed geometry courses as part of my baccalaureate degree and one Master's degree. I did course reviews of Geometry curriculum for one of our 50 states. I have successfully tutored students in the WyzAnt's community in geometry. I have state certification in 3 states and the District of Columbia for teaching Geometry. I taught Pre - Algebra in Connecticut and the District of Columbia, early in my teaching career. The techniques, methods, and theory of Pre-algebra were emphasized in undergraduate methods courses. They were further explored, in graduate courses at American University, Catholic University, University of Maryland, and the University of the District of Columbia. 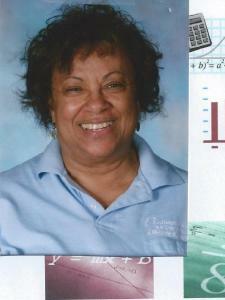 I have taught and tutored Pre - Calculus on the college and high-school levels, for 25 years. The title alludes to my having the opportunity to teach a pre-calculus class in Sweden and observe a pre-calculus class in mainland China. The symbols were the same; and therefore it was easy to follow the instruction. As a graduate student at The George Washington University, SAT Math Preparation Classes were first taught. Many SAT Math prep classes have been taught during the last 35 years, on a part-time basis. I continue to proctor SAT exams occasionally; and have taken the mandatory trainings by the Educational Testing Service during that time. During those 35 years, I had the opportunity to edit a mathematics textbook for SAT Prep classes. It was in this editing process that I became very familiar with the SAT math content and many test -taking tips. The content focus is from the Algebras and Geometry, with the penalty for guessing removed. An occasional Pre-Calculus question does appear in a Math section. I have taught and tutored Discrete Mathematics on the high school and college levels. Additionally, some Discrete Math topics appear in Finite Mathematics and/or Statistics college courses. "Discrete" indicates that the topics use the Countable Numbers in Mathematics. The topics can vary from course to course. Some of the topics may include Set Theory, Number Theory, Graph Theory, Ways of Counting, Voter Theory, and Logic. I have taught Trigonometry, in high school and college, as a component of Advanced Algebra 2, Algebra 3, and/or Pre- Calculus. In some school systems, Right - Triangle Trig is now included in the Geometry curriculum. Algebraic Concepts are applied to many topics in the Trigonometric curriculum. I provided her with the formulas given by the teacher and she used them. I had another tutor who did problems her way, so it was a nice change to have a tutor follow the formulas and systematic way I’m used to. She responded to the request quickly, reviewed all materials ahead of time and was ready to review by the time of our session. I will definitely use her again if needed. Thank you for your observations. It was a distinct pleasure working with you. Best wishes. Marlene is a patient and a wonderful tutor. Her teaching style makes it easy to learn and understand the material. Love her. My daughter just had her first lesson with Marlene and I couldn't be happier with how it went. My daughter is in 8th grade and has been struggling with math this year. Her anxiety with math, along with dealing with being a teenager, has been difficult for her. I can already tell she feels more confident and positive that she can succeed after her first lesson. I'm looking forward to her continued progression. Marlene is kind, patient, knowledgeable, and just a wonderful person and I can't recommend her enough. Marlene tutored my daughter College level Algebra I , and has done an amazing job with bringing Algebra to life ! Often times tutors will “take a moment” to recall steps in the best way to explain a problem, however Marlene is very quick to explain whatever application that needs to be applied in each situation. In addition, she’s very patient, and is great at making the student feel comfortable. And all of this is online !! Thanks Marlene.... Thanks Wyzant !! She has helped my relative in learning Statistics a few days ago. We will definitely be using her tutoring skills in the near future. Anyone in need of help in pre-calculus should definitely seek out her help. My daughter loves Ms. Marlene. She has gone above and beyond to help my daughter. Since working with Ms. Marlene her grade went from an "f" to an "A". So glad i chose her. Thank you, Renee' for your comments. I do enjoy working with your daughter. Marlene, has a very easy way of teaching. She taught me how to do my new lesson in a way that I could comprehend. Marlene is patient and made sure I understood as we went along. Thank you for your comments. I look forward to helping Taylor, whenever she needs more clarity. My Best wishes to all. Very patient and great at understanding my needs. Look forward to more lessons! I have always struggled with math of any kind, but I have a feeling Dr M will help me achieve my passing of this course. Thank you, Mike. Congratulations!! You've achieved your goal. Much success as you continue with your plans. Dr. Marlene L. worked with my granddaughter and comfortably moved from one topic to another bringing Kaitlyn along, and checking for understanding as she progressed. I was so impressed by this approach and her calm demeanor. Kaitlyn has worked with tutors previously and she said: "Marlene is the best."